Boxhead is a Spanish born and internationally known visual artist and designer. 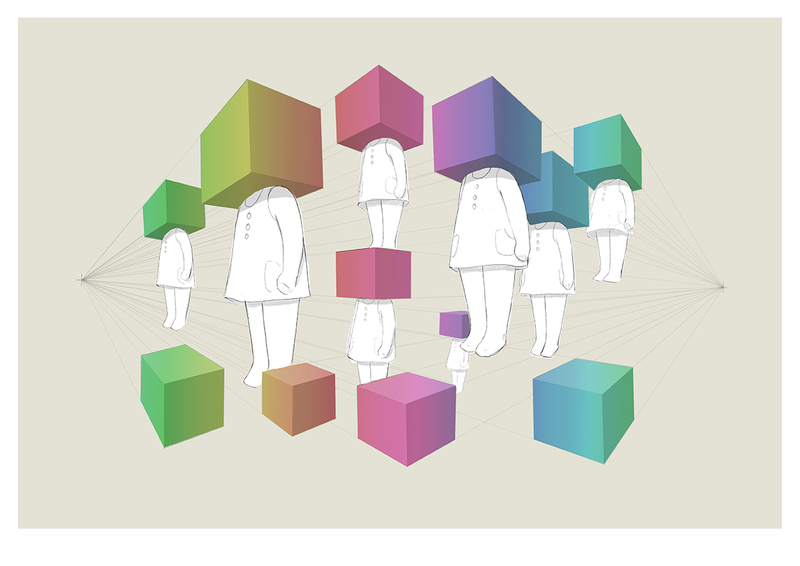 Her signature style features characters masked under a box often surrounded by cubes. These daunting figures question our notion of identity and individualism. Boxhead does not try to explain her body of work but wants the spectator to make their own interpretations. This imagery has become iconic of her style, so much so that the characters created her identity – Boxhead.